Automatic super hard bar or tabular metal cutting machine. Automatic chuck: Automatically adjust chuck open & close size in accordance with the size of the workpiece. 1 axis: feeding axis (1.5kg servo motor), cutting axis (Hydraulic). Speed: spindle 150rpms, cutting axis 0~10m/min, feeding axis 0~18m/min. Five bar/tabular length inputs, automatically calculate the remaining lengths to maximally utilize the available material. Feeding type: reciprocating or gradual. 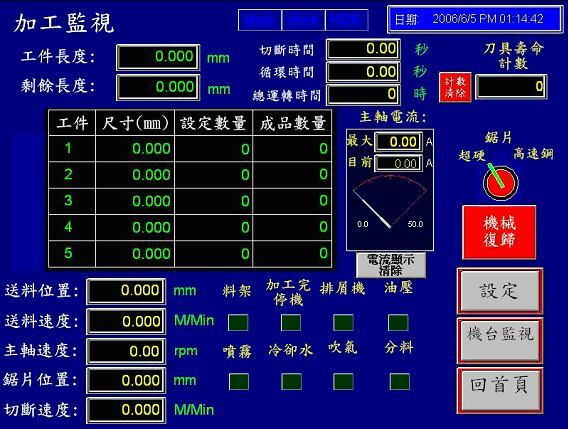 Blade abrasion or broke diagnosis: set the maximum current of cutting. Real time check current value during cutting to protect the blade. Graphic conversational programming to make user easy on operation and editing program. Alarm message and self diagnosis display, easier for user to recover machine from problems. 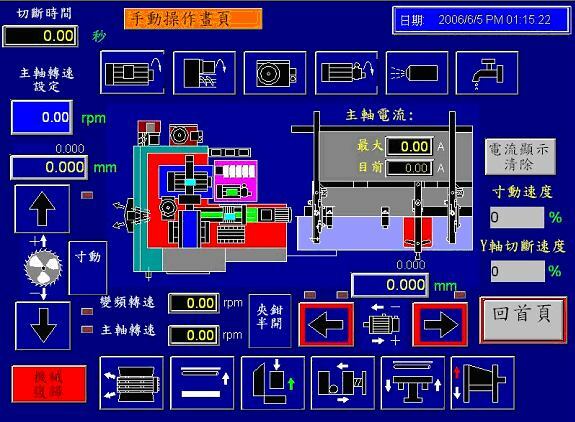 Optional peripherals of the machine is configurable from human machine interface, easier for user to choose the right configuration for operation. Automatic power off function when the job is finished or machine exception occurs. 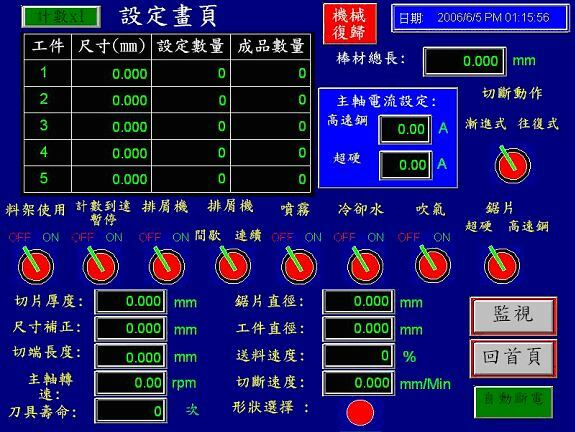 - Bar advance sensor: automatically calculate cutting advance length. - Bar end sensor: high speed positioning the bard end thus calculating the length of the bar left. 10.4" TFT LCD display with touch screen.